You know you've found THAT mug, the one that had been forgotten about for...oh...a week or so. Someone left it out on the deck, in the basement, on the workbench in the garage- with about three sips of coffee or tea still lingering in the bottom. Oh, it's funky all right, and once you finally dump out that nasty liquid, you can bet your boots that the mug is going to be badly ringed and stained. Sure, you can TRY to run it through the dishwasher, but let's get real. This baby is going to need a little elbow grease. Coffee rings around the sides and bottom have got to GO! There's an easy way to remove any kind of staining from your mugs. You'll only need a little baking soda and water! 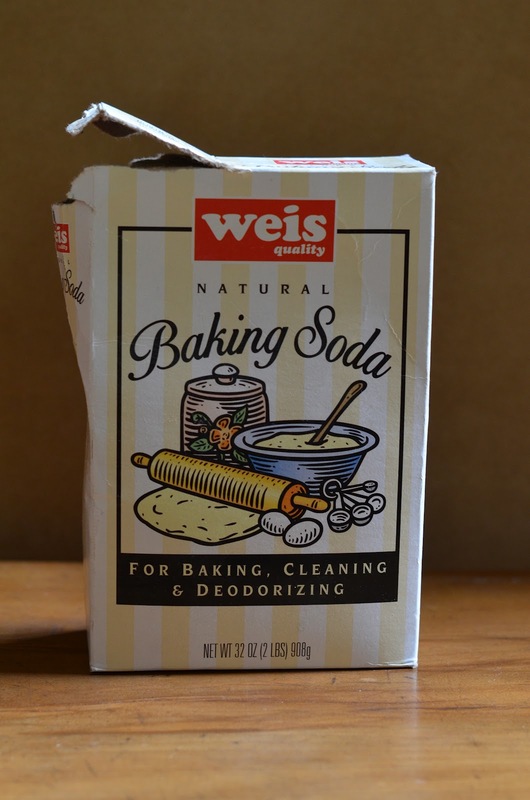 Baking soda is one of the most useful household cleansers. Take your baking soda and sprinkle a bit into the bottoms of any mugs you wish to clean. I usually use about a tablespoon for stubborn stains, but you don't need to worry about precise measurements. Stained mugs, about to be de-funkified. Bleh. No one wants to see icky stains in their mug. Next add a few drops of water to the baking soda to create a paste inside the mug. Don't add too much water. 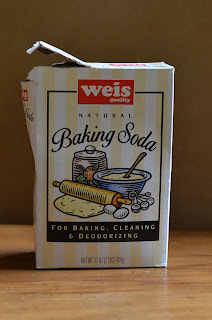 You want the baking soda to maintain its grainy texture. It's better to start with less water and add more if you need it, because too much water will dissolve the baking soda and make your cleanse less effective. Add a few drops of water to the baking soda to create a paste. Then you simply use your hand or a sponge to rub the paste against the stains. It instantly removes any stubborn stain with minimal effort! 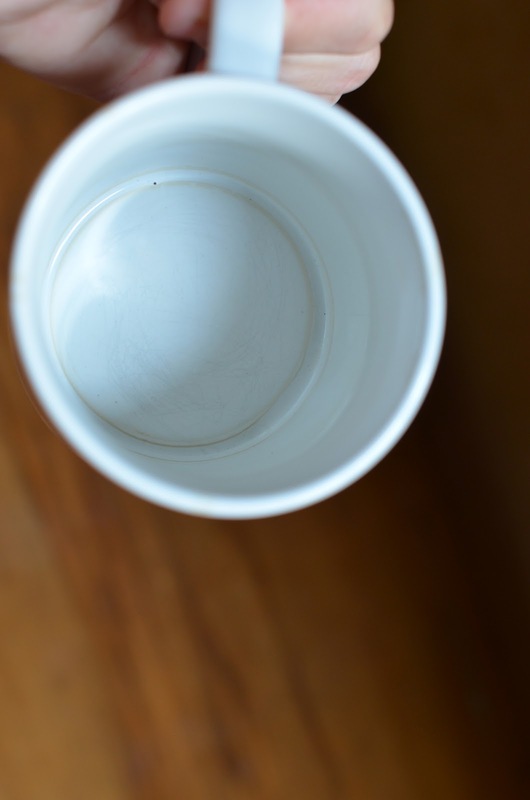 Once your stains have been removed, simply rinse the mugs with water and they're ready to go!